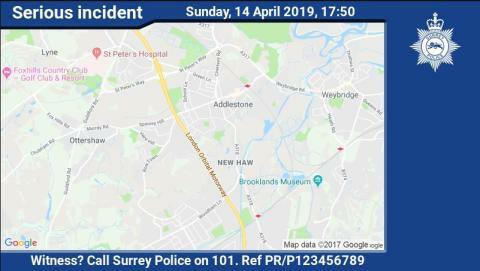 We are appealing for witnesses after receiving multiple reports of large rocks being thrown from a footbridge near to Junction 11 of the M25 yesterday (14 April). The incidents happened at around 5.50pm, where two boys aged approximately 14-years-old, are believed to have been throwing rocks from a footbridge onto the motorway. The junction is near to Row Town, Addlestone.